Students from Columbia and other universities are meeting in Paris this week to simulate the international climate negotiations that will take place in Paris in December. From left: Nikita Perumal, Elana Sulakshana, Kim Stama, Logan Brenner, Mike Kowiack, Joanna Zhou, David Prieto. For all of us it started with an email. Students throughout Columbia University were notified of a once-in-a-lifetime chance to attend a student simulation in anticipation of the upcoming United Nations Climate Conference in Paris. Two words jumped out at me immediately: climate and Paris. After a brutal New York City winter, a trip to Paris to learn about international climate negotiations was an opportunity I could not pass up. But in all seriousness, as a PhD student in the department of Earth and Environmental Sciences, my research relegates me to the lab, so this seemed like the perfect way to explore the political response to global climate change and manifestation and implementation of climate data. 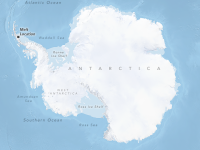 The United Nations organizes an annual Conference of the Parties – the nations and other groups that have signed onto the UN Framework Convention on Climate Change, a treaty that provides the framework for negotiations on climate change. These annual conferences discuss the impacts and measures necessary to address global climate change, often with the goal of producing a binding treaty. The parties include all of the UN member states, others such as Niue, Cook Islands and the European Union, and observer states including the Holy See and Palestine. In December 2015, the UN’s 21st Conference of the Parties will be held in Paris with the ultimate goal to draft a treaty that provides a framework to limit the global temperature rise to 2°C by 2050. Unfortunately, some of the UN’s previous climate conferences were unable to draft actionable plans. 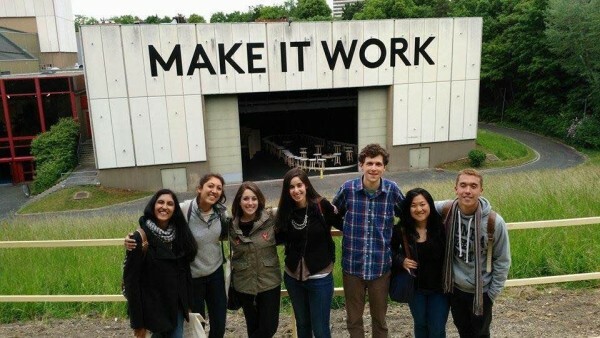 The student simulation, called Make it Work, aims to address some of the shortcomings in the previous meetings by developing alternative negotiation strategies that include a variety of stakeholders and even non-nation delegations, like the oceans or indigenous peoples, to break down the traditional boundaries between and within sovereign nations. 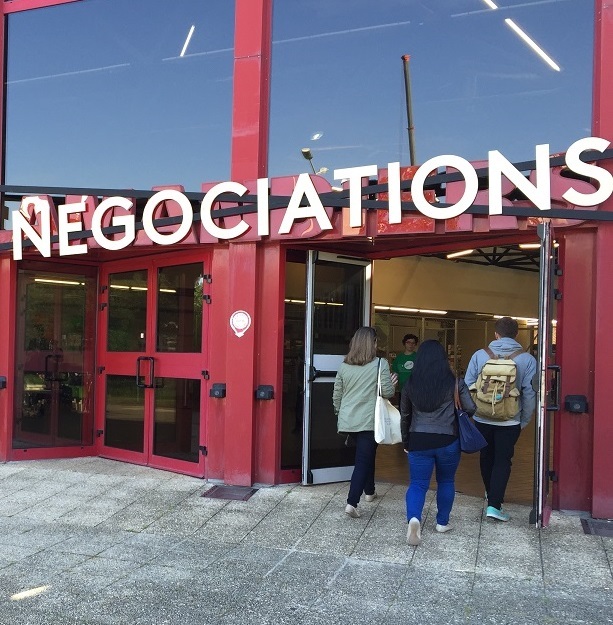 Students gather in Paris for sessions to simulate negotiations for an international climate treaty. Coordinated through Columbia’s Maison Française, students associated with the Graduate School of Arts and Sciences, Columbia College, General Studies, Law School, Earth Institute and the School of Continuing Education were accepted to represent two separate delegations at the student simulation presented by Sciences Po, a French University. The eight Columbia University students attending are split between the Saudi Arabian and Algerian delegations. Leading up to the event, we prepared position papers for our respective nations that outlined our vision for the future of our countries, the pathways necessary to achieve that vision, our contributions to global climate change, potential solutions and mitigation programs we’ve attempted or offered, and proposed allies. Additionally, we’ve broken down into individual entities and written our visions specifically for those. As a member of the Algerian delegation, I am representing one of the largest reservoir systems in the country, the Beni Haroun Complex, responsible for providing water for both drinking and irrigation. My vision for the future involves balancing increased drinking water access with development of alternate water sources, such as desalinization or water treatment for reuse in irrigation, and the impending decrease in precipitation. I am going to work with my delegation to determine our country’s most pressing needs while prioritizing water use, and the Beni Haroun Reservoir specifically, during our negotiations. 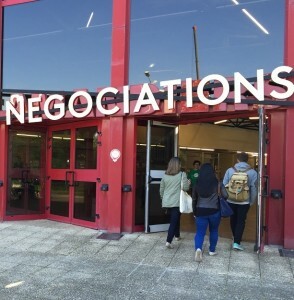 While we are aiming for the end result of the simulation to be the development of novel and more effective negotiation tactics, each student is hoping to take away something unique and beneficial to their education. I am hoping to supplement my graduate research with experience in policy and negotiation methods. In order to be an effective science communicator, you must be comfortable with the research as well as the various ways that it can be disseminated to the public and governments in order to be a valuable liaison between the science and the people. As the Make it Work student simulation continues, I look forward to building my skills as a communicator, advocating for my entity, and contributing to conference’s goals for the UN.